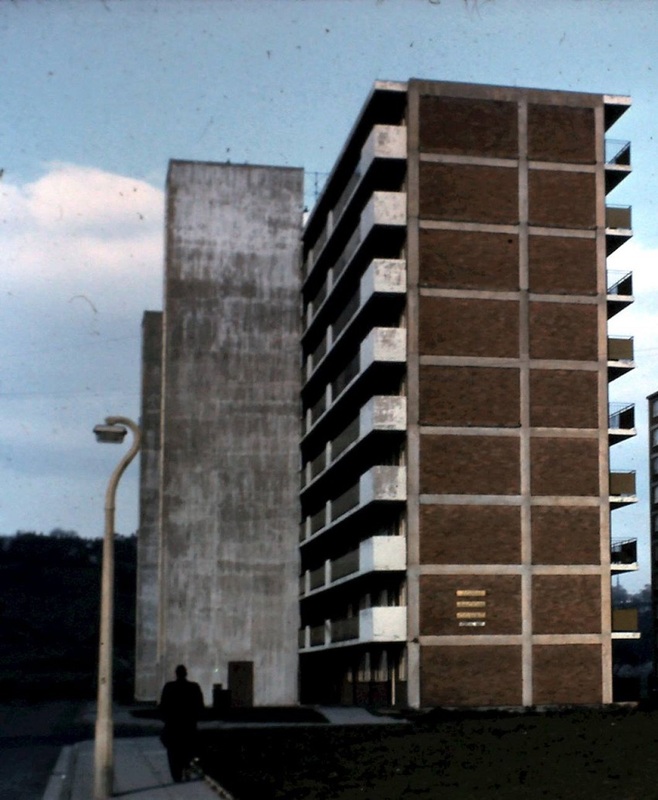 A similar view of John Bacon from Oaklands Halls in the 1980s. 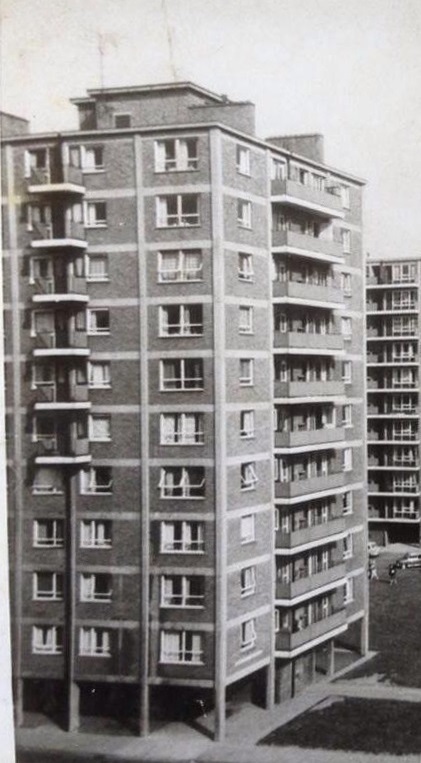 John Bacon Court from above South Radford Street in the 1970s. 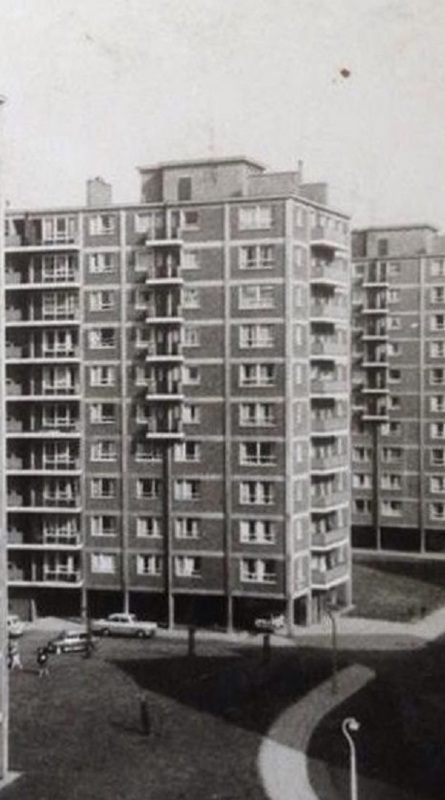 A side view of John Bacom from South Radford Street and the entrance to Kersal Way in the mid 1960s. 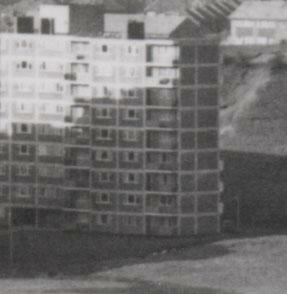 A wide view of John Bacon Court in the early 1970s from the hills above South Radford Street. 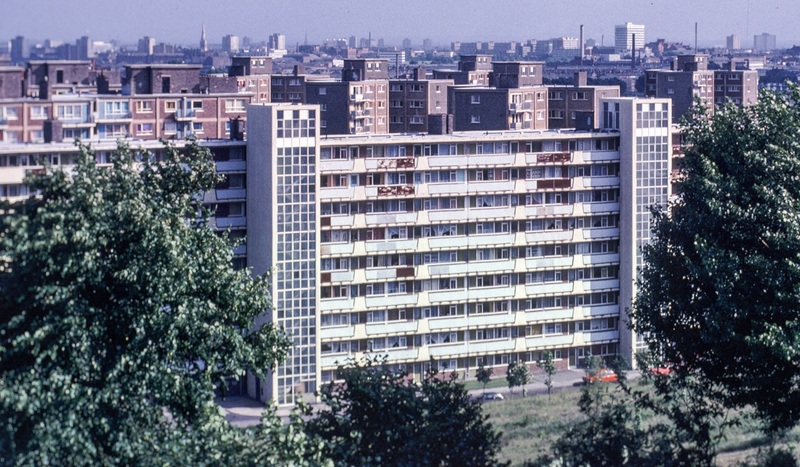 A wide view of John Bacon Court on the 6th July 1978. Thanks to Bill Rich. 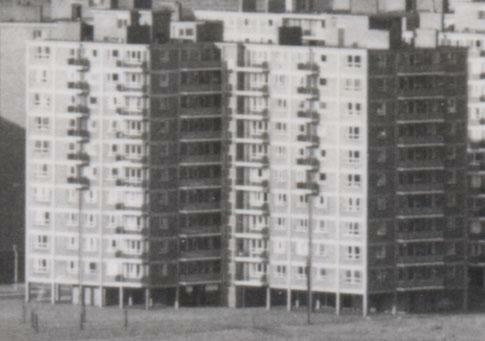 Shelley House sometime in the 1960s. 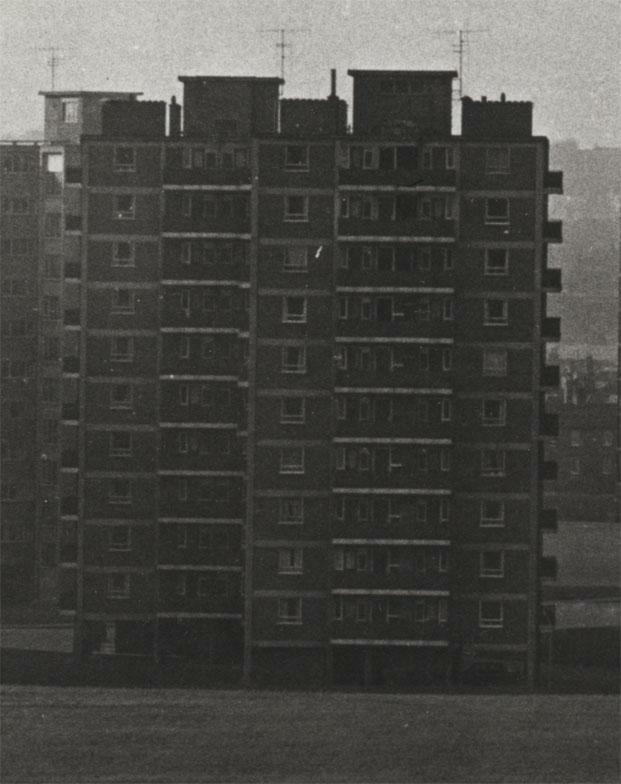 Shelley House in 1971. 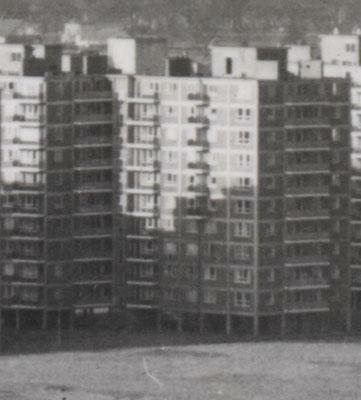 Roll your mouse over the image for the same spot 38 years later in 2009. 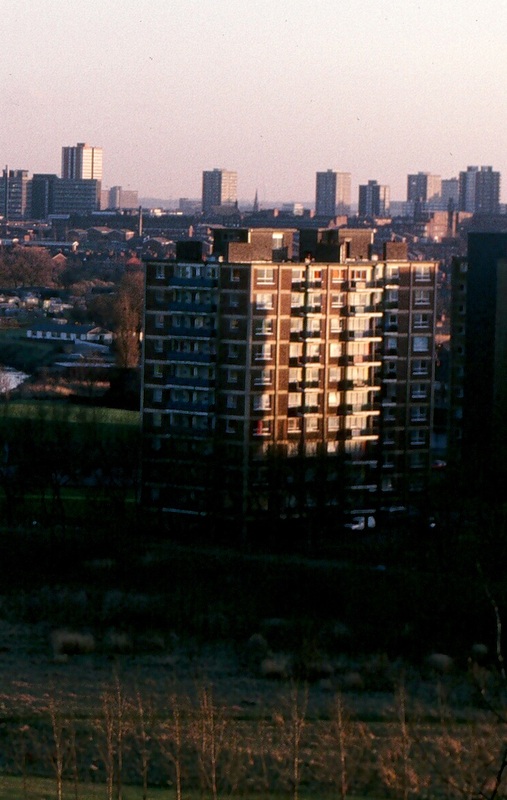 Shakespeare some time in the 1970s. .
Shakespeare House sometime in the 1960s. 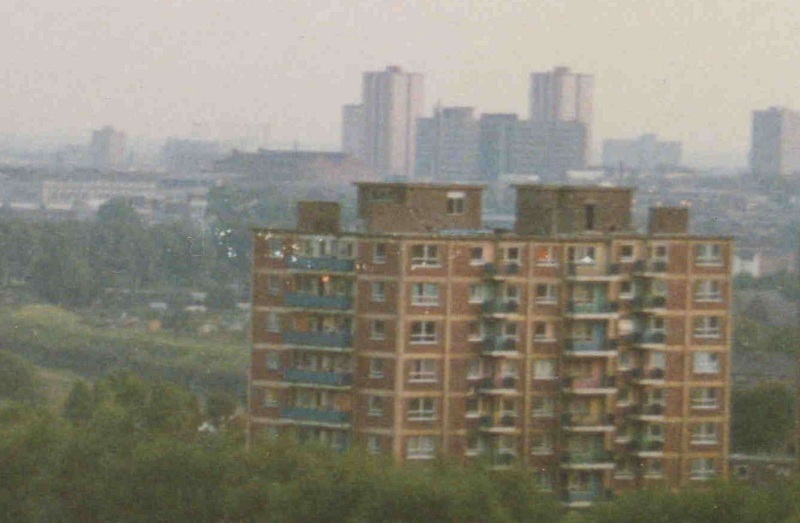 A view of Shakespeare in the 1980s from Kersal Dale. An early image of Spencer House. 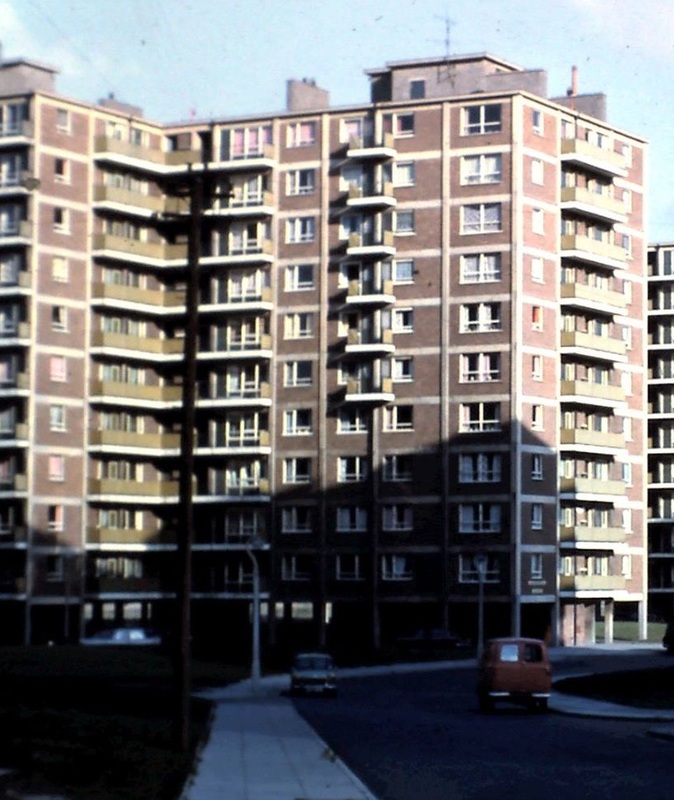 A view of Spencer House in the 1960s. Spencer in September 1988. The end is nigh. 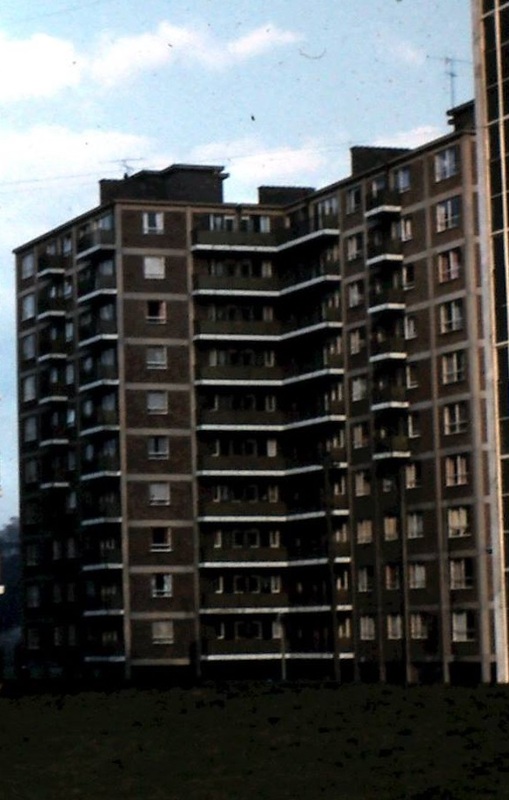 A shot of Spencer House from behind the shops in 1979. 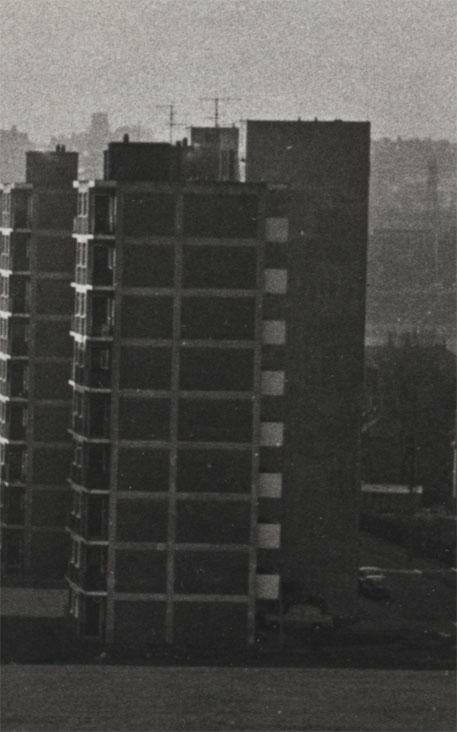 Another shot of Spencer House in 1964. 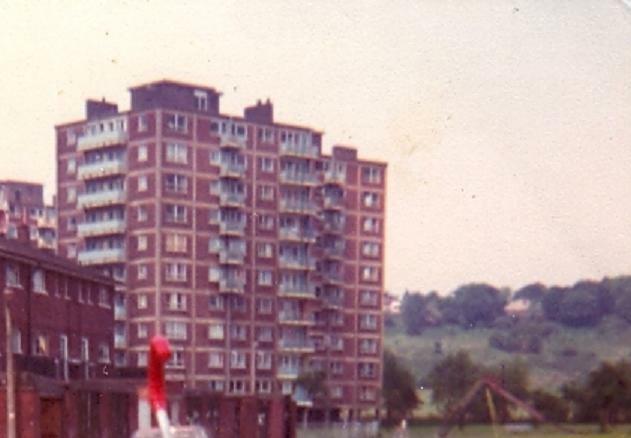 A view of Spencer House from across Kersal Dale in the 1980s. 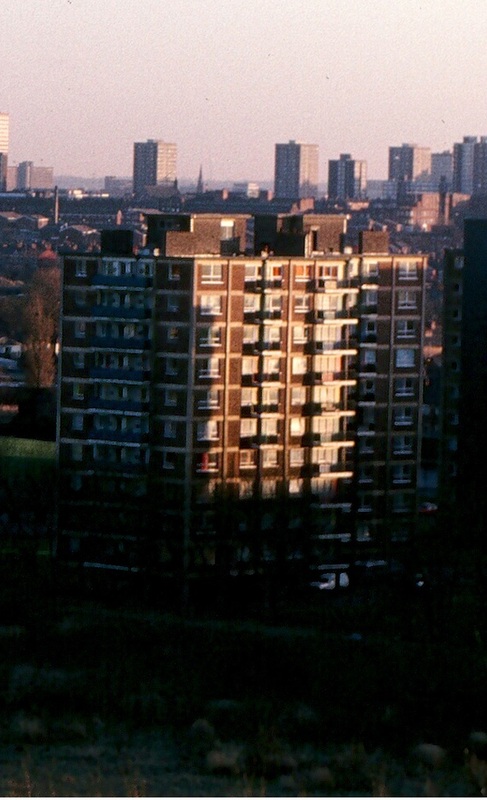 A photo of the bottom of Spencer House in 1980-81. 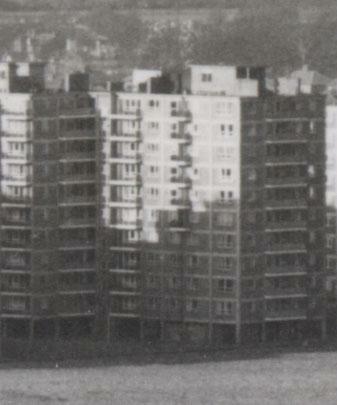 Note that the small balconies are still in place.